Based out of Australia, Silhouette has been creating eyewear for the last 50 years. Their iconic rimless, nearly invisibly rimmed glasses are worn by people like actors Cate Blanchett and Patrick Dempsey and also by the likes of NASA Astronauts. 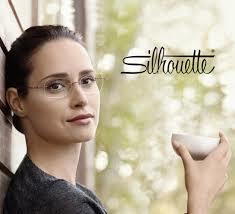 Silhouette’s glasses are noted as the lightest weight eyewear in the world.